Positioned in Algiers, Dar Tlidjene Hotel is the ideal point of departure for your excursions in Algiers. The hotel is just three kilometers away, and it normally takes about 30 minutes to reach the airport. With its convenient location, the hotel offers easy access to the city's must-see destinations. The excellent service and superior facilities make for an unforgettable stay here. Top features of the hotel include the concierge, disabled facilities, room service, Wi-Fi in public areas, and tours. Experience high quality room facilities including a mini bar, television, complimentary bottled water, shared bathroom, and coffee/tea maker to help you recharge after a long day. The hotel's host of recreational offerings ensures you have plenty to do during your stay. 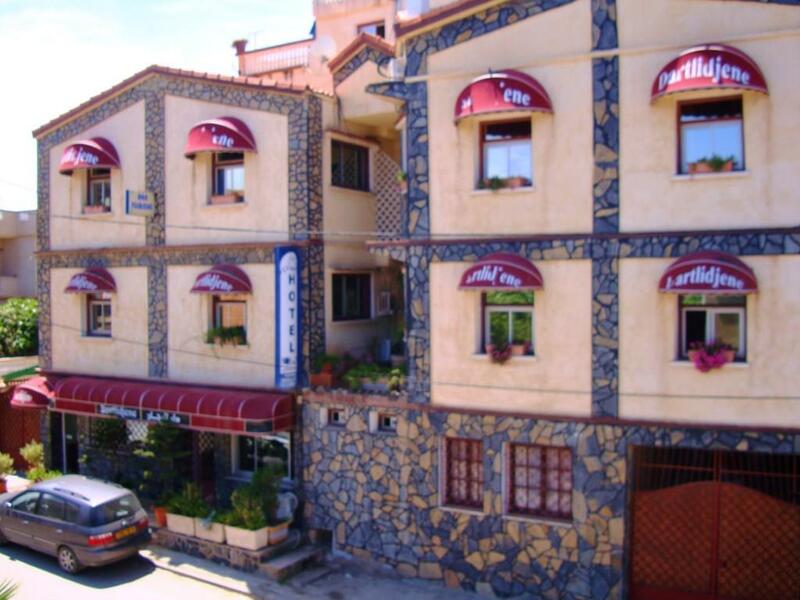 Dar Tlidjene Hotel is a smart choice for travelers to Algiers, offering a relaxed and hassle-free stay every time.